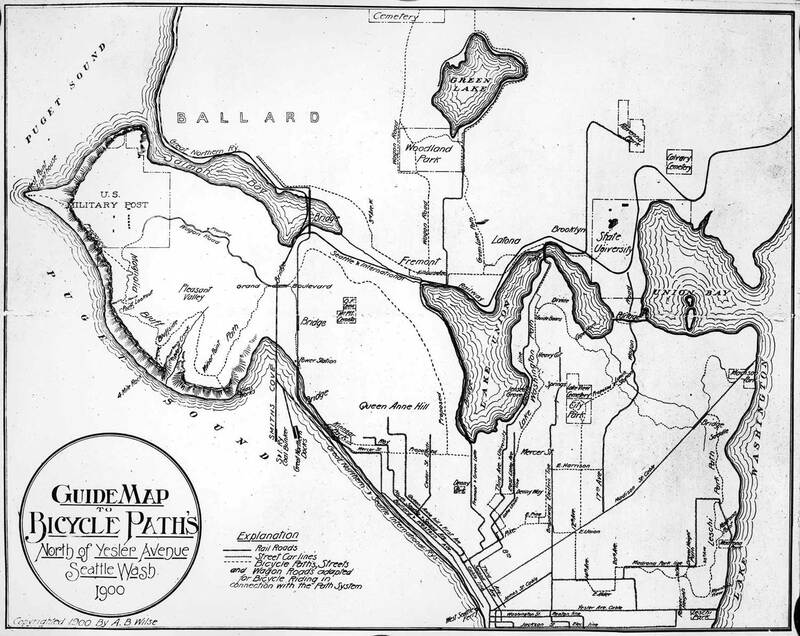 The first Federal land survey in Seattle was in 1855. It laid out the base structure for all future surveys here. 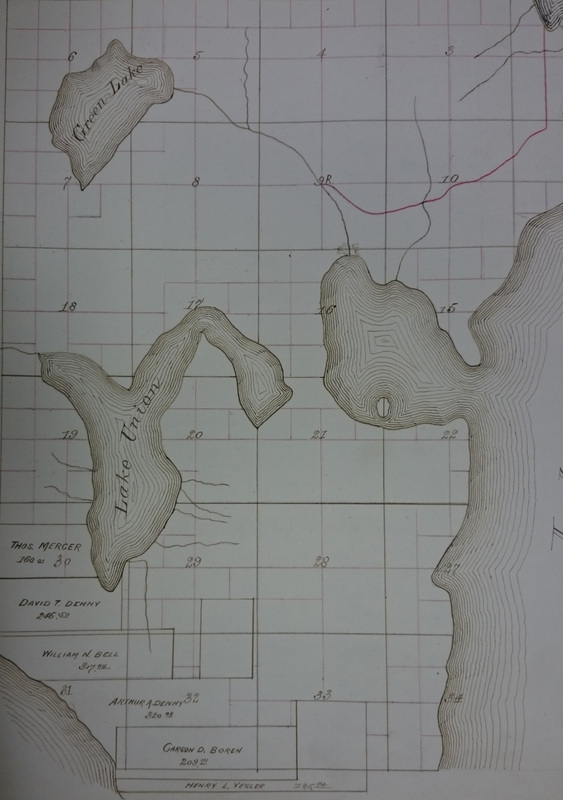 Historylink.org has a great description of the surveying of Sand Point if you&apos;d like to learn more. Roads were being pushed into the hinterland for logging and settlement. Ben hasn&apos;t come across any hard evidence of when what is now 10th Ave E was first created, but it surely would have been around 1875. 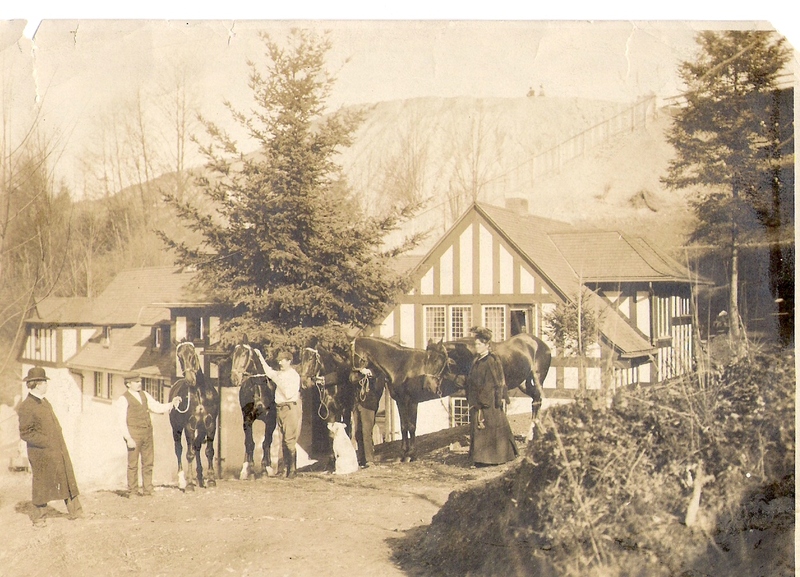 Logging on the hill was likely finished in the early 1880s. The time was ripe for change! Streetcars brought folks on both the Seattle Street Railway Co line along Eastlake and along 10th via the Union Trunk Line1. Around this time the city laid out a gridded street system with proposed names. Growth went hand in hand with both public transportation and land platting. It must have felt like a somewhat frantic pace. For many of us growing up on The Hill (as we like the call Capitol Hill) we hear the story of how developer James A Moore gave the hill its name in hopes that Seattle would be named the state capitol, and created neighborhood on The Hill to match that status2. Some of us also learned about the street cars (it especially helps if your father remembers them and is a rails buff). But what Ben never learned about as a child was the wonderful bicycle system that Seattle had in the late 1890s. It was the brainchild of engineer George Cotterill, who later became mayor of Seattle3. Lakeview Boulevard and Interlaken Boulevard are both remnants of this bike system. It also served as the basis for the larger Olmsted boulevard plan in 1903. 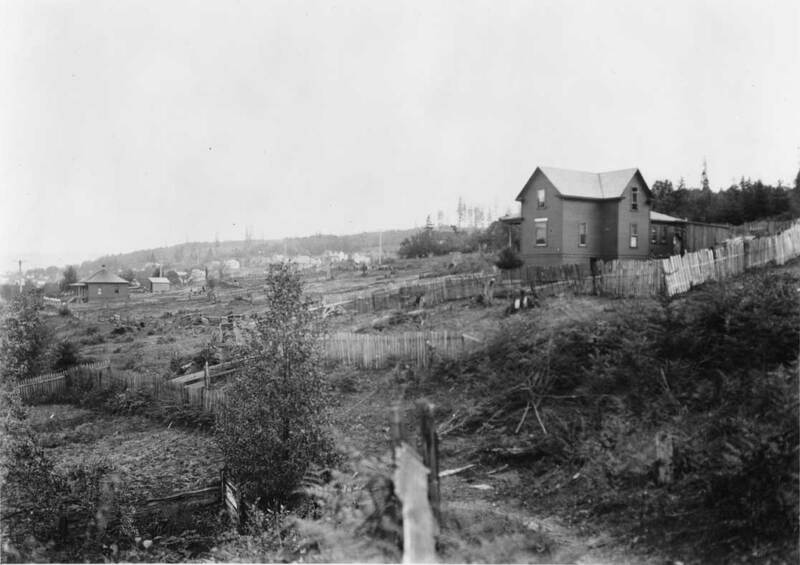 If you&apos;d like to find out more about the rich history all over Capitol Hill, we recommend The Hill with A Future: Seattle&apos;s Capitol Hill 1900-1946, by Jacqueline B. Williams, 2001. It must have been an exciting time to live here - the forest primeval had been cleared a mere 20 years ago, and it was likely still fairly raw in the early 1900s. Construction would have been intense, but at the same time parks were being constructed. Ben hasn&apos;s come across any really defining moments in Capitol Hill that he feels needs to be related in this history. Some of the neighborhood histories is covered in the other two pages on history. Probably the most significant events were the various mansions that were popping up. Designed by Alfred Bodley, and constructed between 1904–07 the house was originally built for John Ferry and Eliza Ferry Leary who were both prominent figures in Seattle. John died in 1905 prior to completion of the house. The original lot was 15 acres and must have had the most incredible nearly 180-degree view of Lake Union. There were apparently fairly well established English gardens around the house after its construction, but Ben has not located any drawing as of yet. After Eliza&apos;s death in 1935, the house was purchased by the Red Cross and used as a regional headquarters. In 1948 the Episcopal Diocese of Olympia purchased the property and continues to use it for it&apos;s headquarters. Designed in 1904 by architect John Graham, Sr. for Pierre Ferry, Eliza&apos;s brother, this house is rarely seen because it&apos;s currently hidden by a massive, well-trimmed hedge. The Ferrys lived there until 1934 when they started renting the house out. In 1946 they sold it to the Episcopal Church to use as the Deanery of St. Mark&apos;s Cathedral. In 1978 the church sold it to a private individual (who continues to live there) with preservation clauses attached to the deed4. Designed by A. Warren Gould in 1914–15 for Albert and Harriet Rhodes. The Rhodes family ran a department store in Tacoma, but Albert split off and started his own store, Rhodes Department Store on 2nd Ave in 1907. Designed in 1908 by architects Hornblower and Marshall for Samuel Hill, this monolithic concrete house sold in July 2016 for over $15 million, at the time the most expensive house for sale in Seattle. Samuel Hill was a lawyer for the Great Northern Railway for part of his life but moved to Seattle after he had a falling out with this father-in-law, and company manager James Hill. The move to Seattle proved to be the downfall of the marriage, and Hill perused many business ventures afterward. He was an early advocate of paved roads and highways, as well as being credited with convincing officials to build the Columbia River Highway. He&apos;s also credited with creating Maryhill Stonehenge (Maryhill, WA) as a WWI memorial, the Peace Arch in Blaine, WA. 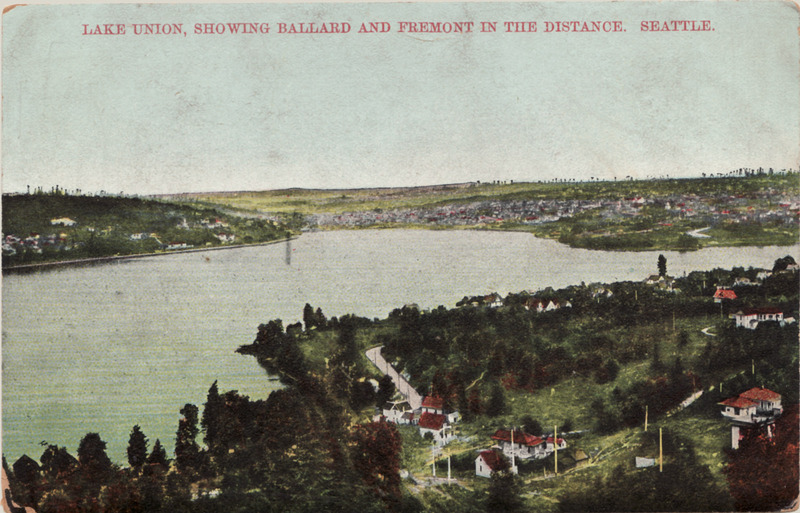 Lake Union from the east, around 1900. 10th and Howe - Queen Anne, 1903. Perhaps the best-known piece of modernist architecture in the neighborhood is the Egan House, that triangular house down on Eastlake that sits almost totally alone. It was designed in 1958 by Robert Reichert for Admiral Willard Egan. It has had a somewhat checkered history but was saved from demolition in 1998 when Seattle Parks and Recreation purchased much of the land you see from Lakeview to preserve open space and one day reforest the slope. The house is currently managed as a rental through Historic Seattle and is preserved as a city landmark. It must have been a bold time to be building down there with the upcoming freeway. 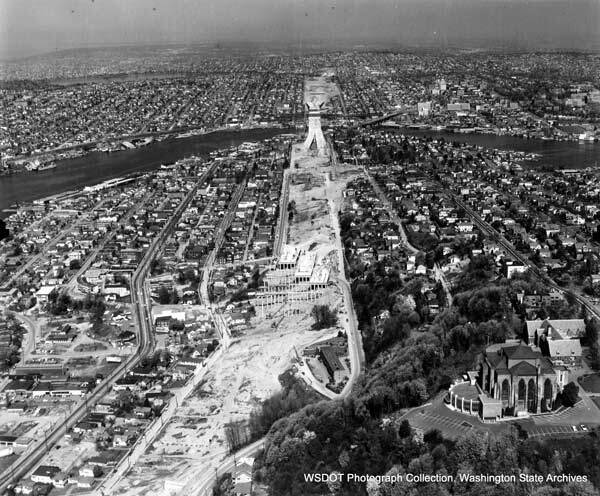 We don't think of it much these days, but the impact that I-5 had on North Capitol Hill was tremendous! It demolished parts of Eastlake and severed it from the rest of Capitol Hill. This section of I-5 was completed in 1962, and Dan remembers that the freeway bridge was used as a parking lot for those going to the 1962 World's Fair. The final segment of I-5 in Washington was completed in 1969 near Marysville, however, it was another 10 years before the freeway would extend from Canada to Mexico. Less talked about (at least until recently) was the construction of State Route 520 (originally called the Roanoke Expressway) which opened across Lake Washington in 1963. This too has had major impacts on Capitol Hill, this time severing the Roanoke neighborhood. The construction of 520 created a second dead-end of Broadway, making it one of those streets one drives by but rarely uses. Our neighborhood saw modest growth between the early 1970s and the mid–1980&apos;s when construction all over town picked up. In January 1997 three townhomes on Lakeview Blvd (across from the Egan House) slid a fair amount. The off-ramp from northbound I-5 was closed for several days as the damage was assessed. 10 years later the houses were finally demolished. 10 years after that, there is a new building there. Makes you wonder about the logic of building on a slide-prone hillside. Sadly, Ben was unable to locate any photos of the tipped buildings online. If you have any (or an internet source) you are willing to share, please contact him. After I-5 was built the area under the elevated roadway was abandoned. Little would grow there because of the lack of water. It was plagued with trash and homeless people, even though it was well signed that access wasn't encouraged and in some cases forbidden. In 2005 7.5 acre Colonnade Park was completed in this area. In part, it was constructed and maintained by a group of mountain bike enthusiasts who have built elaborate courses in what was once barren wastelands. In addtion a new staircase under the freeways was the first major relinking of the two neighborhoods since the construction of I-5. The park also features one of Seattle&apos;s smallest and likely least used dog parks. In 2011 CityLab listed this park in its article 9 Cool Projects Under Freeway Overpasses. I-5 construction on Capitol Hill, ca. 1960. Now, 10 years after the Colonnade Park&apos;s construction the Eastlake Community Council is embarking on a massive redesign and expansion. This project will cover over 20 acres and include many great additions, one of which is a proposed bike trail between the Mercer St overpass (which links with the Melrose Promenade) and the Lakeview underpass. With a little luck, the path will then split allowing folks to go on either side of I-5. Dovetailing nicely with this project is the upcoming expansion of 520. While the future is still untold as to the final design, preliminary designs are looking like the regional trail which crosses 520 will have an exit on Federale Ave E. We are still hopeful that a smaller lid will cover part of the west side, allowing for an easier linking with the north side, and hopefully funneling more foot traffic towards Streissguth Gardens. As plans draw nearer, I'll try and post some of WSDOT's drawing here. 2022? Colonnade Park bike path opens?